Do you or a loved one suffer from ringing in their ears? Over 50 million Americans suffer from “tinnitus”, a condition that causes individuals to hear all sorts of unpleasant noises. From ringing, buzzing, whooshing sounds, crickets or a fast train kind of sound can become unbearable at times, often fluctuating on a day-to-day basis. Although tinnitus is not usually a dangerous problem, it is related to some health underlying conditions, such as “blood vessel disorders, effects from medications. The most common causes of tinnitus are age-related hearing loss, exposure to loud noises, ear wax blockage in the ear canal, and abnormal bone growth in the ear. Less common causes include an inner ear disorder called Meniere’s disease, or high levels of stress and depression, head or neck injuries, and a benign tumor of the cranial nerve called acoustic neuroma. In addition, people who have been exposed to loud noises for extended periods of time and those with post-traumatic stress disorder (PTSD) are known to have higher rates of tinnitus. There is no specific treatment for tinnitus, but a doctor may suggest removing earwax, treating blood vessel conditions, or changing your medication regimens and methods of suppressing the sound. *Treatment of depression with medications and psychotherapy is likely to reduce tinnitus severity for many patients. 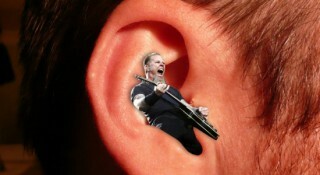 If you have ringing in your ears we can help. Unfortunately i’m one of those 50 million people 😦 It’s a very debilitating disorder, and annoys me a lot. Just looking for a quick cure. Hey Loretta, Thanks for sharing and commenting on our blog.